Weaner steers this week sold from 234c to 314c to average 282c, with the top price reached by this line of 59 Angus steers 247kg from Inverell, NSW. CLEARANCE rates on AuctionsPlus cattle offerings are beginning to rise, reaching just above 50pc for the first time since the Christmas break this week. Continuing dry conditions across much of eastern Australia has kept a lid on clearance rates during January. Numbers offered this week lifted to 6226 head, up 6pc on last week. The joined female offering saw 1898 head listed, with clearance still subdued at 40pc nationwide. PTIC heifers sold from $970 to $1780 to average $1276, a slight drop compared to last week. The top price was achieved for a line of Poll Hereford x Friesian 30-month-old heifers out of Tasmania, PTIC to Poll Hereford bulls, that will continue to run on the Apply Isle. PTIC cows sold from $800 to $1200 to average $963. 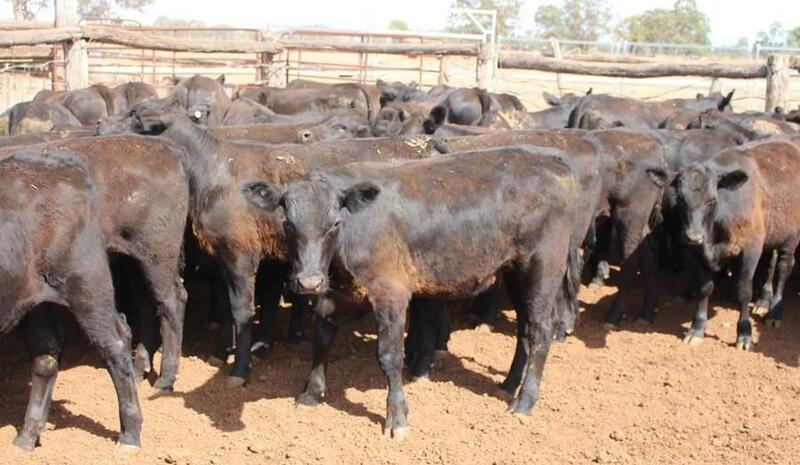 A line of 27 black/red baldy March 2015 drop cows fetched the top price of $1200. Cow and calf units were in short supply with only 405 head offered, with clearance rates sitting at 63pc. They sold from $1100 to reach a top of $1410, averaging $1250. Top price was achieved by a line of 56 station-mated Rennylea blood cows 22-24 months, with Angus calves, from Coleraine, VIC. A total of 3331 head were offered this week in the Weaner & Yearling sale, with stock listed from NSW, QLD, SA and VIC. Yearling and grown heifers sold from 201c to 234c to average 220c, with the top price achieved by a line of 124 12-14 month old 282kg NSM heifers from St George, QLD. Weaner steers sold from 234c to 314c to average 282c, with the top price reached by a line of 59 Angus steers 247kg from Inverell, NSW. Weaner heifer prices dropped by 10c on average this week, selling from 209c to 260c to average 231c. The top price was achieved by a line of 87 Angus heifers, 6-7 months averaging 217kg from Deniliquin, NSW. This week included the special Brian O’Halloran & Co Annual Autumn Calving Dairy Heifer Sale, where 109 head were listed across nine lots. A mixture of Friesian, Friesian x Jersey, Jersey, Aussie Red and Ayrshire heifers were offered and sold from $1080 to $1550 to average $1353. Top price was achieved by a line of 12 PTIC Jersey x Friesian Heifers, 2.5 years old weighing 552kg. These heifers were joined to Jersey bulls and are one month off calving. 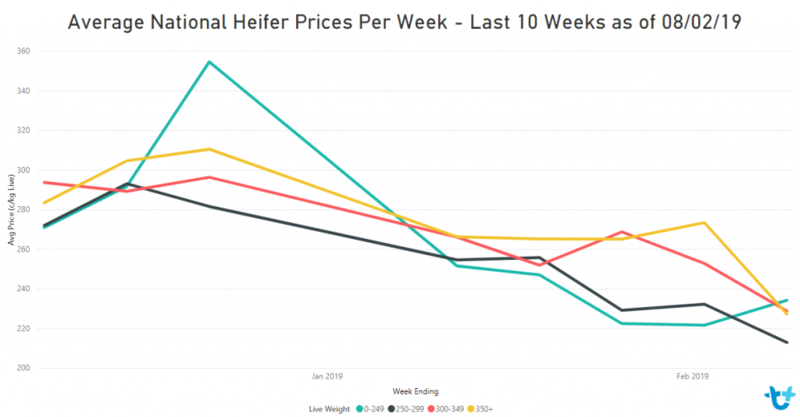 That market report demonstrates the great value AuctionsPlus brings to Producers and Agents: 50% plus may not sound so very strong – but with the Livestock still on the Owners Property and under their control, they can choose not to take ‘knockdown’ prices. Also great to see Brian O’Halloran taking advantage of the AuctionsPlus system to offer and market lines of Dairy Cattle of mixed breed, ages and marketable types. Very positive.